Weekly Photo Challenge: Zigzag | Oh, the Places We See . . . It wasn’t what I would call intentional. Looking for zigzags, that is. 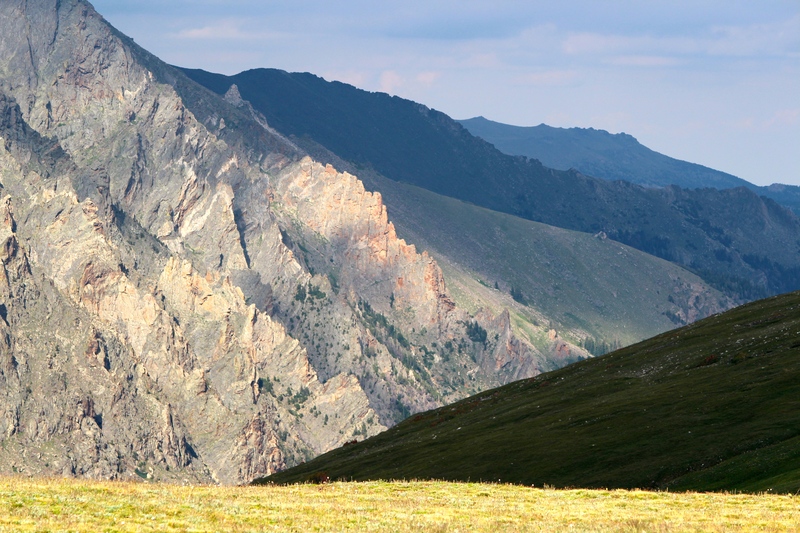 But nature has a way of showing off in an exquisite setting like Rocky Mountain National Park, offering magnificent examples for the WordPress Weekly Photo Challenge: Zigzag. 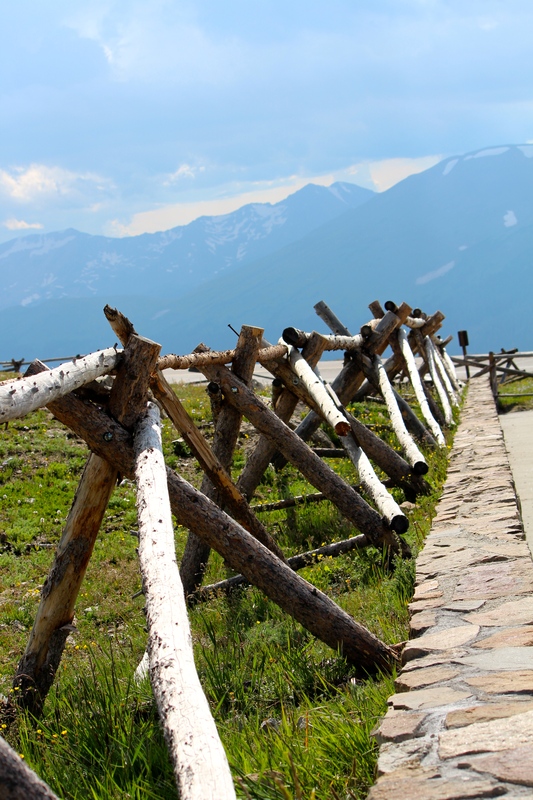 At the Alpine Visitor Center — zigzag fencing outside the front door directs your eyes to the vista ahead . . .
where the zigzag of mountains hovers above layers of land below. Tourists like us zigged and zagged along the winding highway. Slowly, of course. We didn’t want to miss a photo op left or right or front or back. And then when we spied a line of cars parked alongside the road. We, too, pulled over for a closer look. Sure enough, those ahead had spotted the prize we were seeking: elk grazing at eventide backed by a zigzag of mountain color. 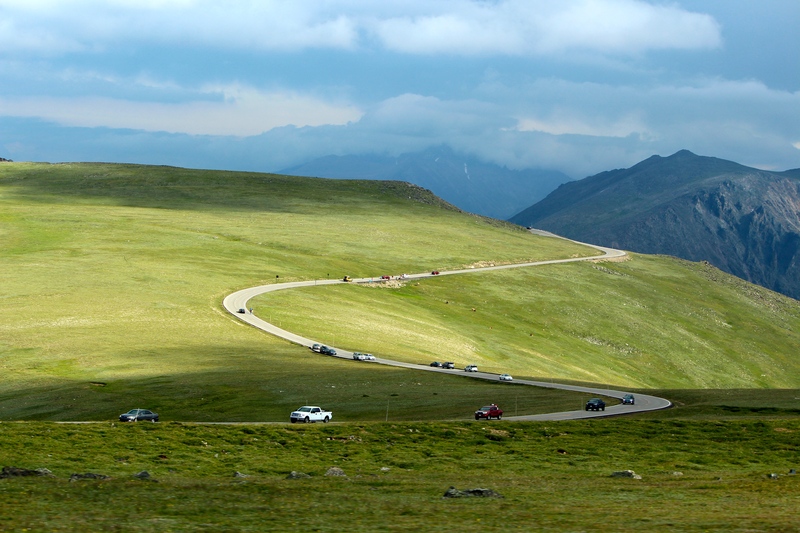 For more information on Rocky Mountain National Park, click here. For more entries into the Weekly Photo Challenge: Zigzag, click here. 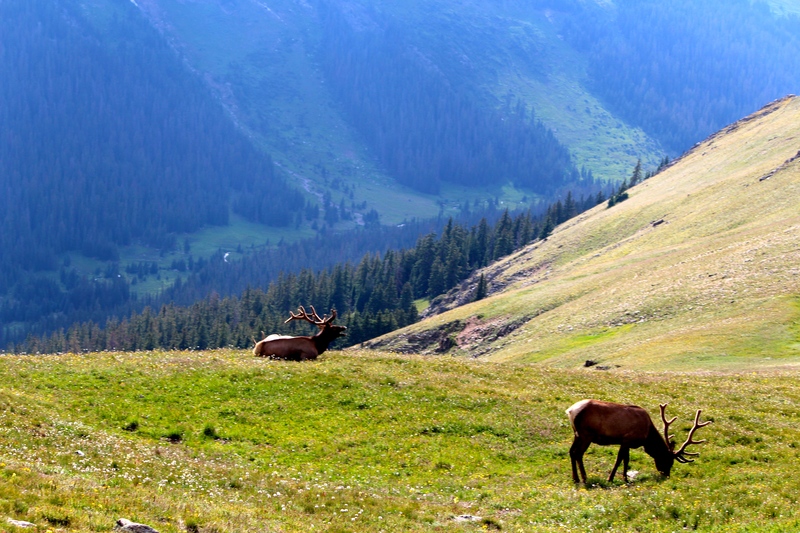 This entry was posted in Colorado, Photography, Travel, Weekly Photo Challenge and tagged Alpine Visitor Center, elk, jack fence, mountains, Rocky Mountain National Park, zigzag. Bookmark the permalink. Awesome photos. The one with the road reminds me of Transylvania. Thanks for taking a look. Would love to see Transylvania! I guess there are zigzags all over the world. Oh, to have the time and money to see more! Fabulous selections for the zigzag, Rusha! I love all them. Breathtaking scenes! Thanks for taking a look at my zigzag pictures. I would have responded to you earlier, but I’ve fallen into the trap of reading all my comments but not clicking on them immediately to respond. You are one of my best faithful followers, so thanks for always being there. It’s a pleasure always to hear from you!!! While I stayed in Colorado on a ranch with no cell or Internet service, I got behind. Hope you don’t mind. Had to share some of these gorgeous photos somehow!!! Thanks for taking a look. It’s always nice to see cool pictures! I am a bit pedantic, please don’t mind me! hehehehehe! This week’s is texture… soooo much to post!